Hello Friends today is day 153 sober. Part of staying sober for me is to being aware of how my mind works, patterns, habits, how I see the world also matching my mind with actions. Doing the right thing. At first doing the right thing felt uncomfortable because it wasn’t the norm. After awhile it became a good habit. Habits aren’t all bad. Replacing positive thoughts with negative ones use to be hard but once I became aware that I am in controlled of my thoughts, creating them have been pretty awesome. Not soaking in suffering. Grief is healthy; Tears of hurt releasing 85 toxins from our body so I allow myself when I need it. When I cry I let it flow and eventually it will stop but if I keep thinking the same thought it wont stop so I allow a healthy cry but change my thoughts when I feel it’s time, I am in control of my body and mind always. I also don’t feel much unhappiness, yes I do feel a bit sad at times, a bit heartbroken but I am still happy and loving life. My recovery is self-rewarding. I am finding myself, becoming less attached to stuff, not offended by other people. It’s pretty cool finding new things about myself. What I like and what I don’t like. Recovery is a blessing, first rule is don’t drink. Go inside and find my root causes that started my addiction, Find a higher power that dwells in me. AA rooms are amazing but it all comes down to me, and what I choose to do when I leave those four walls. I know I can’t control life but I can control myself and will continue to heal, healing all the way to my grave. Never reaching for perfection, only reaching for wholeness, peace, serenity, and gratefulness. I want my mind to be so still and Quiet, like I am floating in life always. Sober is the new Black. 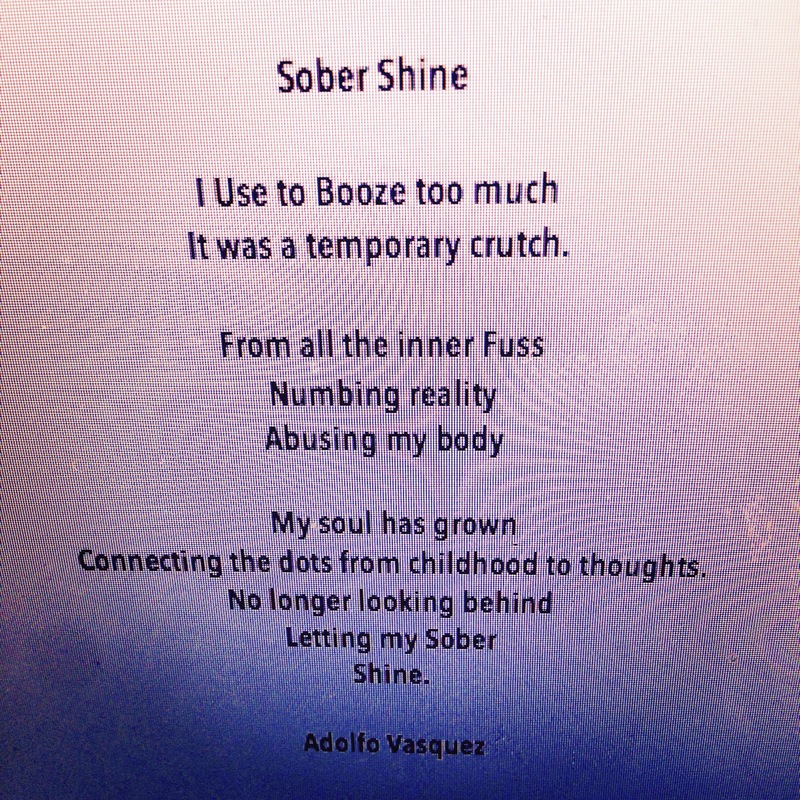 I am grateful for life, people, recovery, readers, and for my fingertips that allow me to heal through my writings.